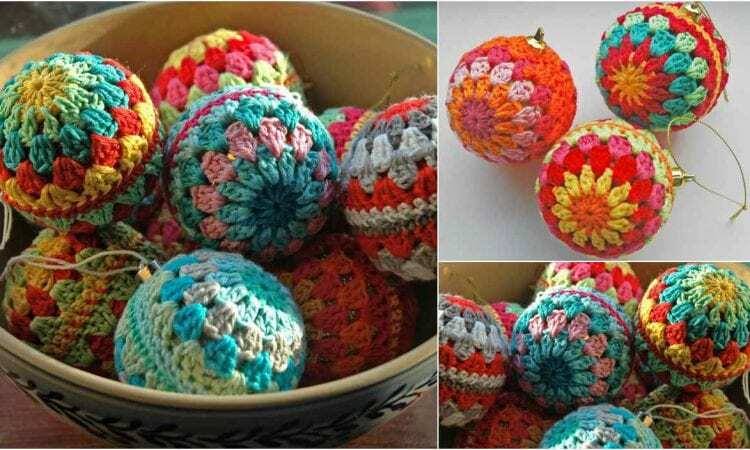 These granny baubles pattern will be great to use as a Christmas gift idea. They are easy and quick to make and will look elegant in a box cover with some fancy tissue patter. To get a nice shape, just put inside them any unwanted or cheap Christmas bauble approx. 3.5” in diameter. As you can see in the photo, only a small amount of yarn is needed, so it is also a great project to use up yarn odds and ends! A link to the free pattern is below.